A SUPERMARKET chain have confirmed that they will no longer be opening a new store in Kingfield. Late last year, Morrisons announced they would be opening a shop in Sherpa House on Kingfield Road, just a few doors down from the existing Sainsbury’s Local. Although planning permission was not required because the shop was classed as ‘permitted development’ in the existing building, Morrisons do not actually own the site. 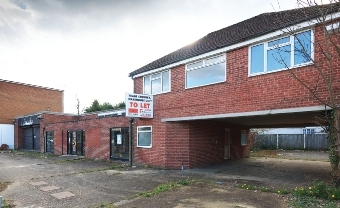 Cllr Forster, who is also a County Councillor for Woking South, said: “I know this will be great news for the neighbours of Sherpa House and those connected to Kingfield Primary School. In March this year, the News & Mail reported that parents of children and infants attending Kingfield Primary School were seriously concerned about the safety issues regarding Morrisons taking over opposite the main entrance, where there is a busy pedestrian crossing. As well as increased traffic from customers to the new store, frequent deliveries would have to be made with no loading bay on the already congested street. With vehicles belonging to shoppers and parents dropping off and picking up their kids already parking on both sides of the street – some even illegally on the zigzag lines at the crossing – the concern was that another supermarket would only exacerbate the problem. With a Sainsbury’s Local close by, and Kingfield Road lined with small independent retailers, residents questioned why the area needed another supermarket at all, let alone one on the doorstep of a school. It is not known what the landlord’s plans are for Sherpa House, which has been empty for years. It seems Kingfield hasn’t heard the last from Morrisons, though. Woking MP Jonathan Lord told the News & Mail: “Woking has enjoyed very encouraging levels of growth over the past few years.